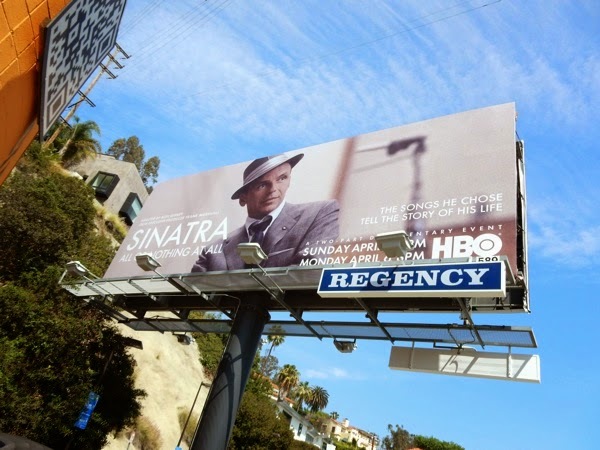 After all this time, Frank Sinatra stills cuts an impressive and instantly recognisable figure in the city skyline. 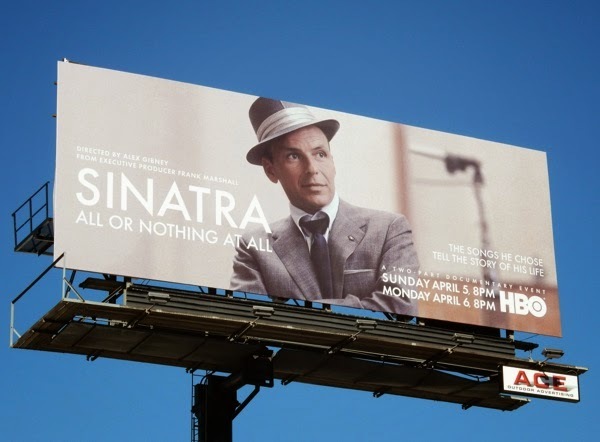 Ol' Blue Eyes is back for an up-close and personal two-part documentary series on HBO this Easter weekend, Sinatra: All or Nothing At All, commemorating the iconic singer's forthcoming 100th birthday. 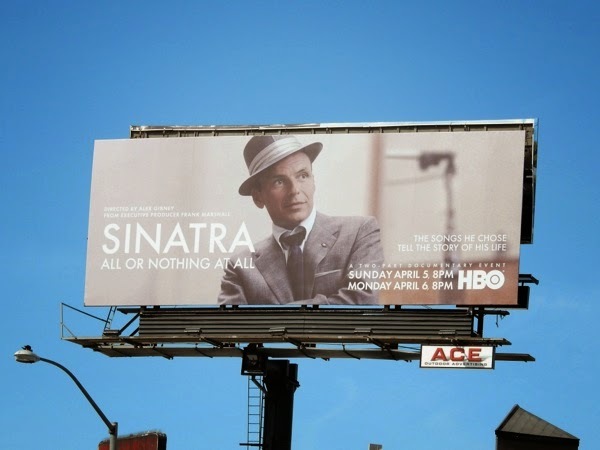 The new multipart documentary about the legendary entertainer, by Alex Gibney and Frank Marshall, will feature archived interviews and rarely-seen footage of his life and concert performances, plus will focus on key moments of his exciting career. 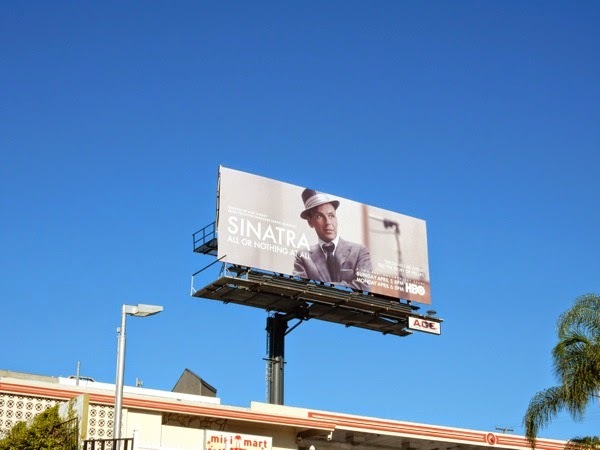 This cool billboard proving The Rat Pack member has still got it, was first spotted along Sunset Boulevard on March 12 and further east along the Sunset Strip on March 20, 2015. 'The songs he chose tell the story of his life', but what's your favourite song of his? 'I Get a Kick Out of You', 'The Lady is a Tramp', 'Come Fly with Me', 'It was a very good year'. There are simply too many to choose from.